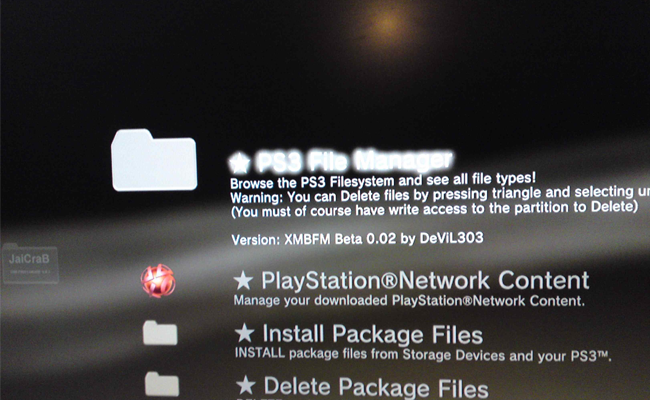 I have made a little XMB mod for Rebug 3.55.2 that I call XMB File Manager (XMBFM). It is a modded version of Rebug's package manager that allows the entire ps3 filesystem to be browsed and also any files deleted. Im hoping to add things like copy function etc but would like to get feedback and help if anyones game. This wont work on standard CFW for now but i will hopefully release a standard version soon if anyone thinks I should bother. This is a beta version for anyone who might be interested in helping me test it or improve on it. I use multiman by selecting the mount dev_flash to dev_blind option.